Standard in most Salli Chairs. 85–95 % of the material is recycled aluminium. Small Aluminum Base 500mm (19.6 in) diameter 85–95 % of the material is recycled aluminium. 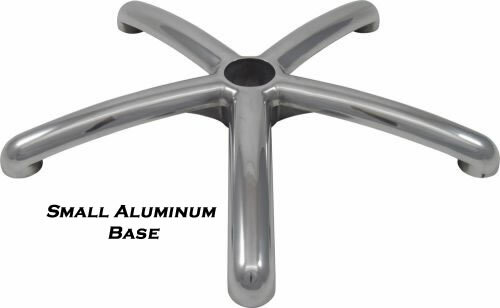 Generally ordered with the short gas cylinder and small Salli chair. Because of the risk of the chair toppling over we do not recommend the small base to be used with Salli Swing and Salli SwingFit; the user of these combinations is doing so at their own risk. 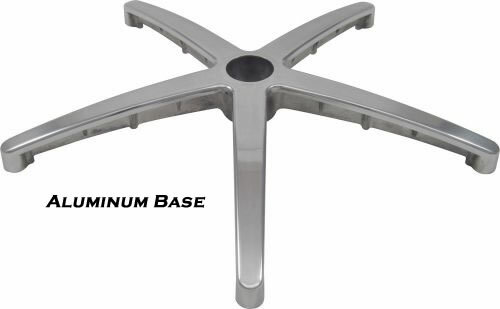 Large Aluminum Base 600mm (23.6in) diameter 85–95 % of the material is recycled aluminium. Recommended with the allround on the Salli Swing. 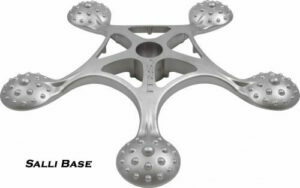 Extra Large Aluminum Base 700mm (27.5in) diameter 85–95 % of the material is recycled aluminium. Comes only in metallic with black rubber pads. 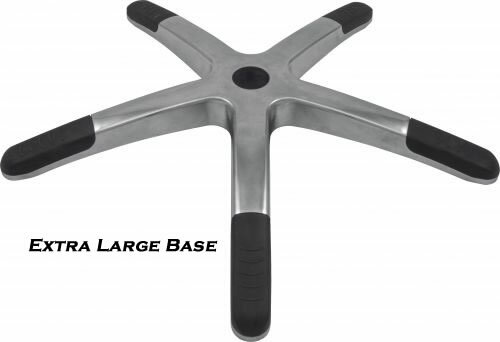 Plastic Base 480mm(small) and 580mm (18.9/21.3 inches) diameter Affordable choice for e.g. schools. Comes standard with the Care, Light and Slim chairs. 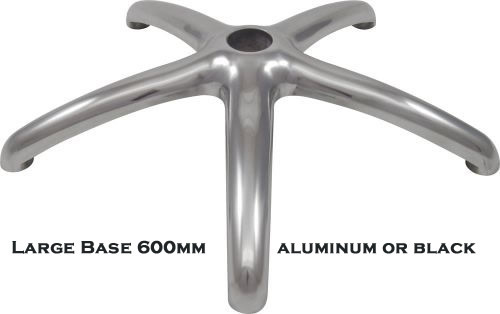 Trumpet Base 501mm (19.6in) diameter Trumpet Base is available for these chair models: Salli Twin, Salli MultiAdjuster, Salli Classic, Salli Light Basic, Salli Light Tilt, Salli Slim Basic, and Salli Slim Tilt. 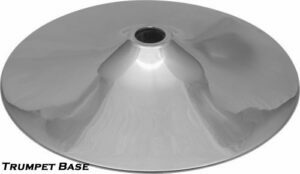 Salli Base 560mm(22in) diameter Enjoy a gentle foot massage by rubbing your soles against the base. Colors matt metallic and shiny black. 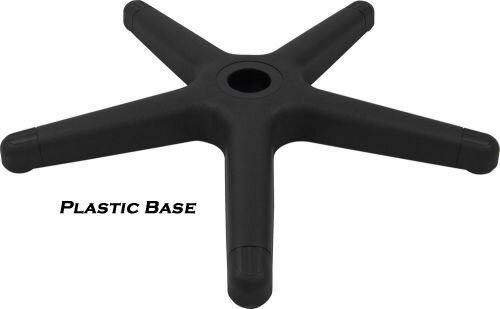 The base can be used with all castors and added to all chair models.